From August 12th to 28th 1932, Berlin throbbed to the distinctive sounds of the aircraft taking part in the daunting race organised by the FAI (Fédération Aéronautique Internationale or World Air Sports Federation): the International Tourist Plane Challenge. Pilots vied with each other in three types of competition technical, rally-type and speed tests in an overall contest won by Franciszek Zwirko of Poland. 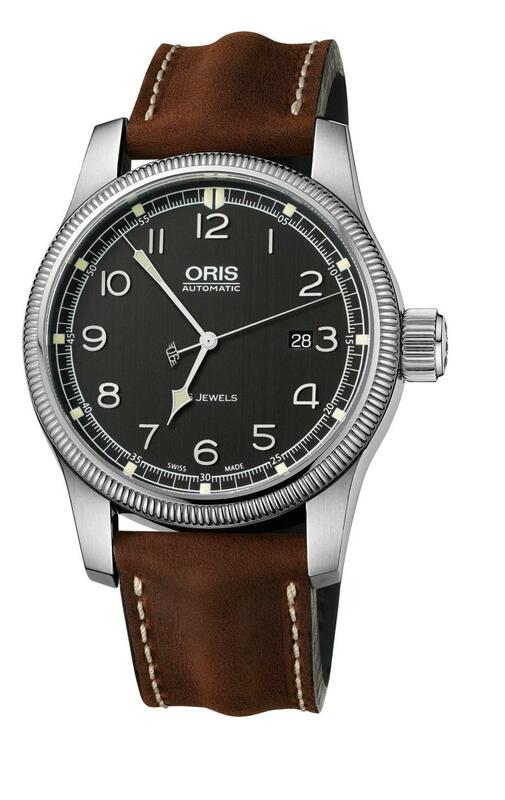 Oris now pays tribute to this legendary team by offering the Oris Challenge International de Tourisme 1932. 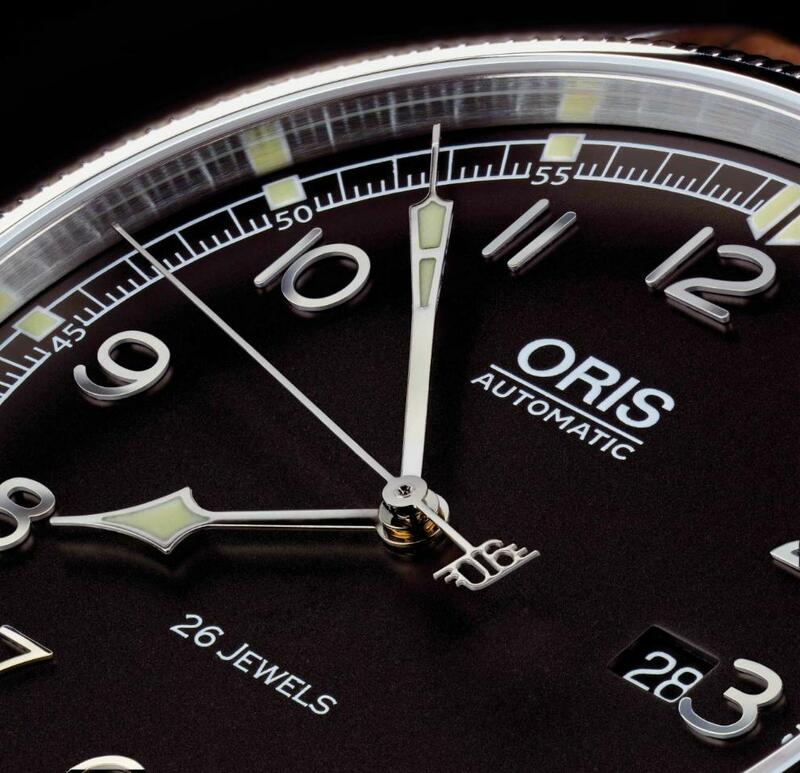 In a nod to the aircraft starting number in the race, the counterweight of the central seconds hand carries a small 08, and the caseback features the silhouette of the RWD-6 as well as an engine-turned decorative motif. The case, in stainless steel, measures 44mm. It has an AR-coated sapphire crystal and it is water resistant to 100 meters. The caseback is engraved with the limited-edition number and the outline of an RWD-6 plane. Movement is the Swiss automatic Sellita caliber SW200 with 26 jewels, 28,800 vph and a power reserve of 38 hours. 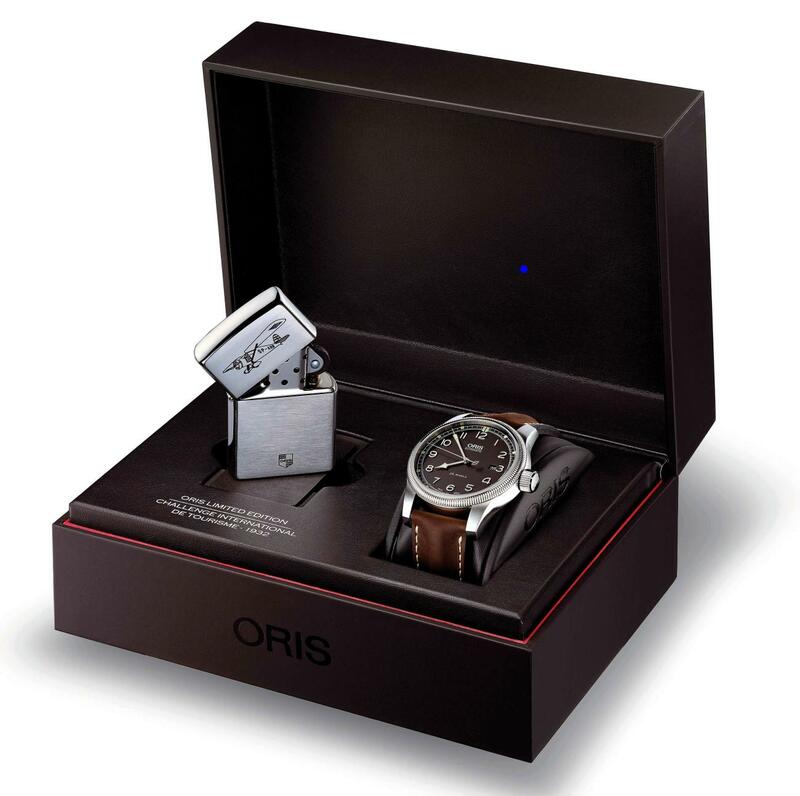 The presentation book features a certificate and a Zippo cigarette-lighter.